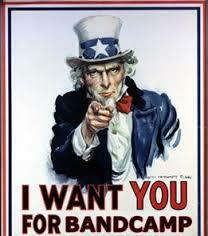 Interested in Volunteering at Band Camp? Click HERE to see how you can help. Please complete the following BAND FORM or GUARD FORM prior to band camp. This will likely take 10-15 minutes to complete. and on 8/22 for all other students (including drum line). A digital copy of the BAND HANDBOOK can be found by clicking HERE. A digital copy of the BAND CAMP SCHEDULE* can be found by clicking HERE. *On-site schedule adjustments may be necessary due to weather, field availability or other unforeseen circumstances . Students should be prepared to be flexible and be willing to divert from the schedule.